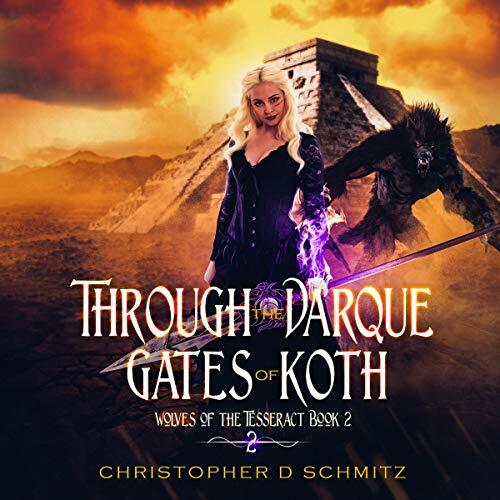 Three years after a sorcerer’s failed attempt to awaken an ancient evil, Claire Jones channels the Prime spirit and has become the rightful heir to the throne of the architect king. Peace seems to have returned to the multiverse, but when a traitor forms a dark pact with the trickster demigod Akko Soggathoth, malevolent forces again destabilize reality. If Claire and her friends cannot stop a new cult’s foul rituals, the ravenous nega-god may yet find entry into our world - but journeying through the Darque dimension to stop it might cost Claire her very mind.